Live, Laugh, Love Second: Currently-February! 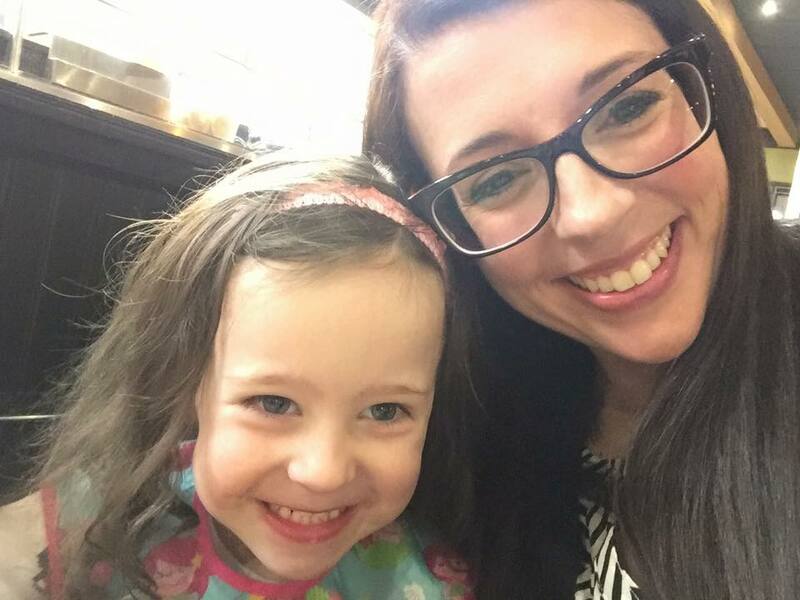 What better is there to do on a snow day than link up with Farley for her monthly Currently? It's been a few months, and I've missed the fun. So...here we go! Listening: My 3 kiddos (plus one friend), have been tromping up and down the stairs all morning. I think they might be having a little cabin fever, and it's starting to drive me a little nuts! We might have one more day of this ahead of us based on the 3-4 feet of snow drifts that are surrounding the entire neighborhood. Yikes! Loving: The valentines I made for my daughter's class turned out too cute! I used heart-shaped glasses from Target. They were a pack of 12 for $3. I wrote a blog post about the HERE. 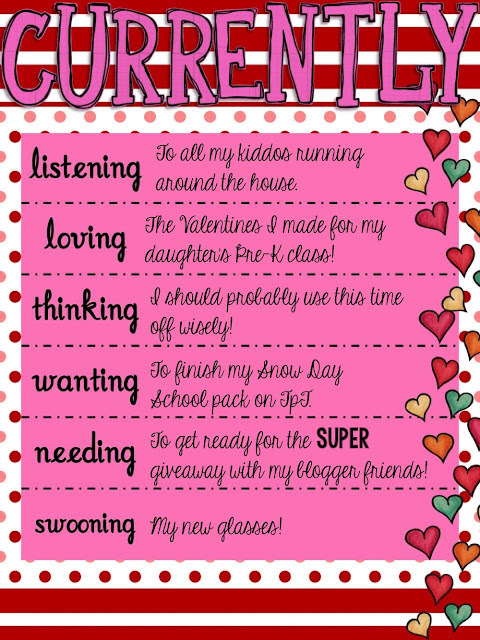 You can download an editable copy of the valentine to use! Thinking: I procrastinated on all my work this weekend anticipating at least one snow day. Then one turned into two at about 7pm last night, so that allowed me to procrastinate even more! And lookie at what I'm doing now...procrastinating more by blogging! Wanting: I really, really want to finish my Snow Day School pack. I started it in December when we had a snow day, thinking it would be a great resource for families on snow days. And...we're going to be out of snow days if I don't finish it soon! 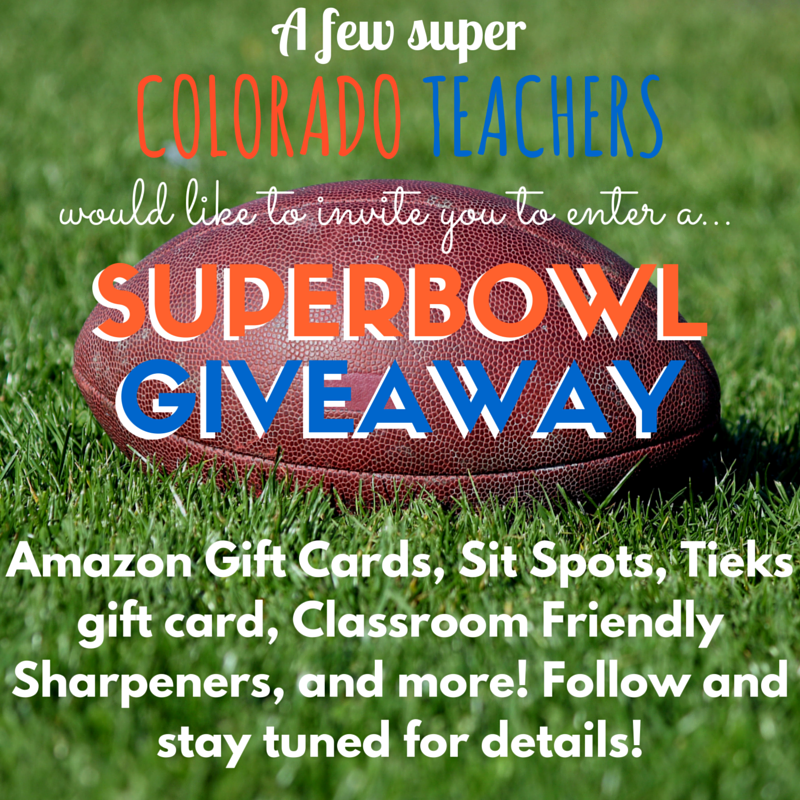 Needing: I'm taking part in a SUPER giveaway with some other fabulous bloggers to celebrate the Broncos' Super Bowl appearance. 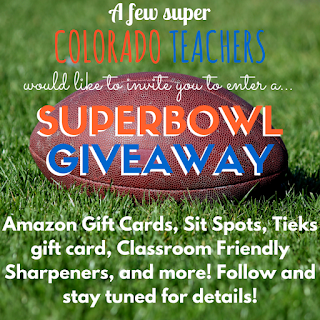 We have some great prizes including Sit Spots gift certificates, pencil sharpeners from Classroom Friendly Supplies, and Tieks gift card, and MORE. It's definitely going to be SUPER!!! Swooning: I am in LOVE with my new glasses. My contacts were just killing my eyes, so I gave in and bought some new glasses. Can you say SWOON??? My BTF said I was channeling my inner Amy Harris...which I will take as a BIG compliment! Make sure you head over to Farley's blog to join the link up! Click the button below! Well, I'm off to be productive. Maybe! The Valentines are so cute!! 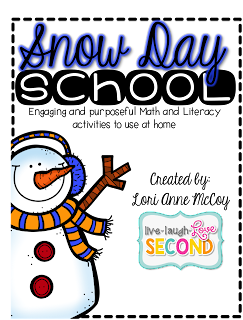 And the snow day school is a really good idea - are you going to post it on TPT when you're done? Amy Harris is great! They do look like her style. 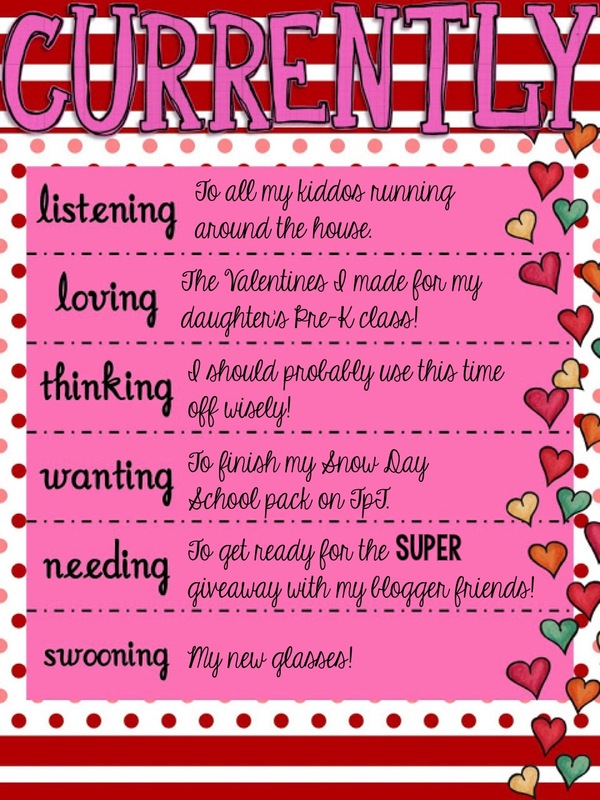 Love the vday sunglasses and card! Super cute! I saw the Valentines on Instagram and loved them - so creative! 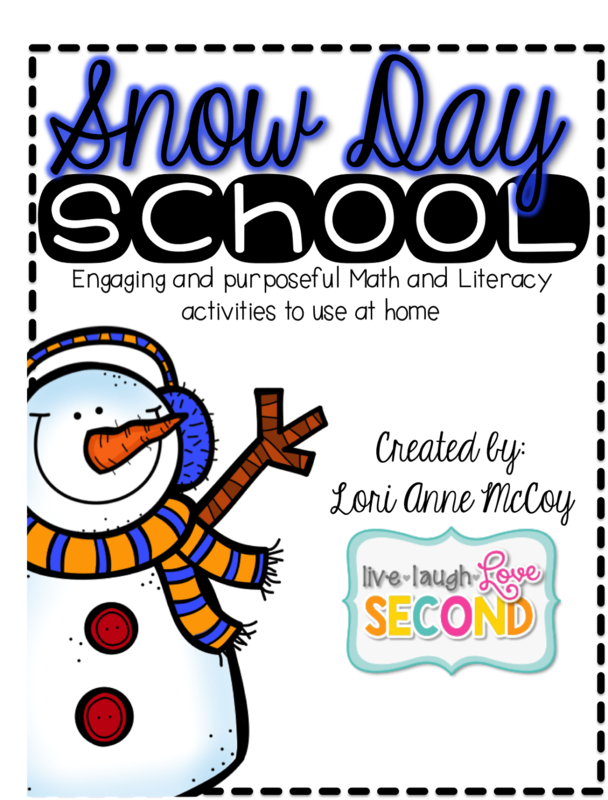 We have a Snow Day today, too, which I'm hoping turns into two! I'll be rooting for the Broncos come Sunday - I love Peyton Manning! Love the Valentine's! I did something similar last year with the huge glasses and used them in my class as "reading glasses" when they presented different things!! Love the glasses, I need a new pair too! I am excited for our giveaway too! That and the snow days!